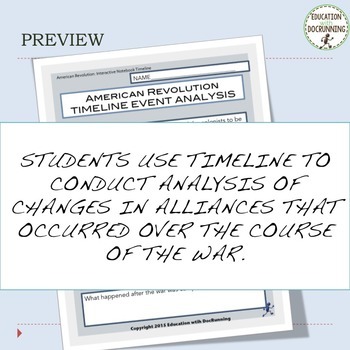 American Revolution notebook timeline provides students a visual way to explore the events of the American Revolution and show the course of the war from the two sides. 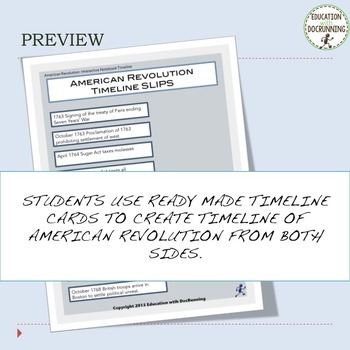 Students use pre-made timeline cards to attribute events to sides. 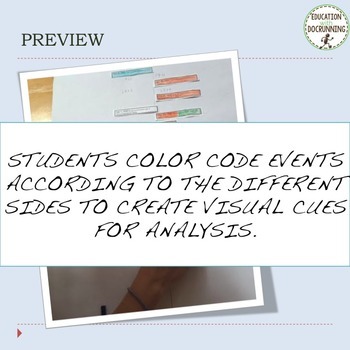 Students add a color code. Perfect for interactive notebooks, stations or cooperative group work, this activity engages students in inquiry-based learning. 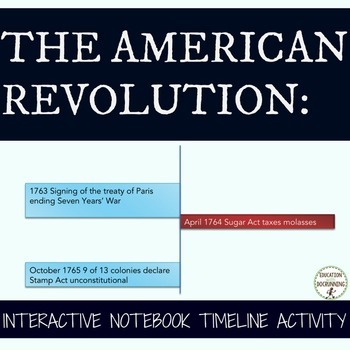 Use with other American Revolution activities or for projects. - New products are 20% off in the first 48 hours. Find out when new products come online by becoming a follower. - Find out about weekly deals, sales, free stuff and more.